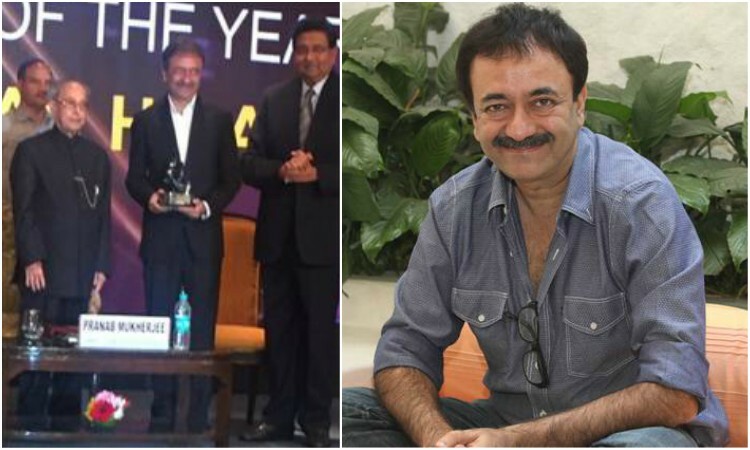 Director Rajkumar Hirani was honored with 'Director of the Year' award at the prestigious award by the hands of the former president of India Pranab Mukherjee for his highest grossing film Sanju which made the right noise at the box office in 2018. Unlike other awards, this award brought the utmost prestige to the director Rajkumar Hirani as he received the award by the former president of India Pranab Mukherjee. While getting felicitated by the prestigious award, director Rajkumar Hirani attended the award function along with his wife. The awards were felicitated to eminent personalities for their outstanding contribution across the sector and director Rajkumar Hirani won the award in Entertainment Industry. After winning the award director Rajkumar Hirani shared his thoughts on art and freedom of expression, "Art cannot have rules We cannot bind it by boundaries. Art is an expression of the artist. The artist should have the freedom to express it for art's sake or life's sake. Each on his own."